Coconut Oil is a must have in our home as it has so many uses we in fact have used coconut oil on Blake quite a bit. In Blake's early months we used it for baby massage and when he had cradle cap. We still use coconut oil on Blake as a moisturizer, for soothing skin, when his bum is getting sore and whenever his skin needs a bit of TLC. Its also great for using on yourself as a beauty product and in cooking. For cooking you can use it in place of any fat or oil in most recipes. Coconut oil is high in saturated fats, so should be eaten in moderation. Obviously it’s dairy-free, so perfect for vegetarians/vegans. Coconut oil best kept sealed, at room temperature and away from direct sunlight. It will solidify once the outside temperature goes below 23°C. Doesn’t take much to make it melt. When using coconut oil for cooking, it’s best to warm it until it becomes liquid. If using as a beauty product for your hair or body, it’s best used in its solid form. 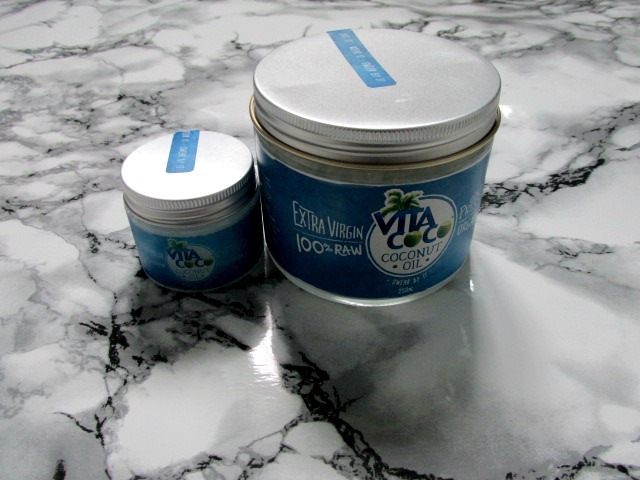 For more information about coconut oil you can check out Vita coconut website which has tons of information. Do you use coconut oil?